She’s a contemporary Mother Mary - Paula Karanja, the good soul and manager of Mothers’ Mercy Home in Kianjogu near Nairobi. Under her stewardship, up to 125 orphans and displaced infants are being accommodated, given medical care, education, provided shelter and looked after day and night. The humanitarian flagship project is a joint undertaking by Kenya’s Anglican Church and freight carrier Lufthansa Cargo. It’s an educational start, but very far from being sufficient since “secondary or – even better – tertiary education is needed for Kenyans to get a decent job one day,” Paula notes. A highly divisive element in Kenyan society since Secondary School and beyond education costs much money, unaffordable for most of Nairobi’s roughly 50 percent inhabitants living in slums. Barred from basic education as a result of ongoing poverty it has become a vicious circle for millions, existing since long and perpetuated time and again without any visible governmental interference, complains Paula. A grave social problem the kids living under her MMH team’s care are not burdened with – not yet at least. All of them have undergone a selection process according to needy situation done by the Anglican Church. “They decide whom we get and which child we are not entitled to take care of,” Paula explains. 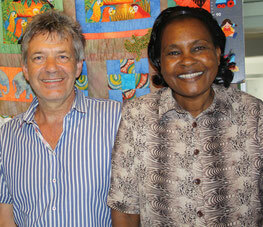 Their learning is financed by Cargo Human Care (CHC) together with medical care, clothing, nutrition and accommodation. But the support goes far beyond. Animated by CHC, Germany’s most influential daily Frankfurter Allgemeine Zeitung (FAZ) together with Frankfurt-based project developer H.P. Gauff Ingenieure GmbH + Co KG in 2008 built the dormitory at MMH - free of any charge. “These firms are in the frontline of the many donors that support this project either by financial or material means,” states Fokko Doyen, chief pilot of Lufthansa Cargo’s 14 units comprising MD-11 freighter fleet. 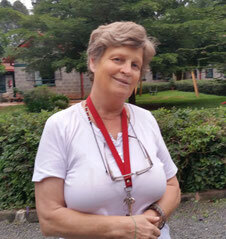 If Paula in her role can be described as being a contemporary Mother Mary providing human warmth and shelter to the orphans, Fokko can be dubbed a modern Joseph who engages since long in the project that took root in 2003. “More than a decade back when I first came in contact with MMH the buildings were dilapidated but even worse the kids were completely lacking medical treatment,” he recalls. Being a pilot of Lufthansa Cargo it came to his mind that there might be some German medics that would be willing to spend part of their spare time at the MMH to provide medical care. It was fitting that LH Cargo was (and still is) serving Nairobi regularly on the way from Frankfurt to Johannesburg and back. Since the freighters are equipped with courier seats, capable of accommodating up to two travelers per flight, the doctors could be transported without causing any extra costs. Fokko presented his plans to his airline’s board and got the thumbs up from the “execs” shortly after. Simultaneously, a fund raising campaign together with the acquisition of donors began which resulted in a medical center and the aforementioned dormitory for accommodating 125 kids at Kianjogu- located MMH. Meanwhile, a decade later, the first groups have finished their 8-year term in Primary School, with the majority having switched over to the Secondary School right after. “Our aim is to provide our children the best education possible to prepare them for an independent life and to enable them to later stand on their own two feet,” assures Paula. While saying this she points at a small library in a separate section of the dormitory containing a variety of books for different ages and interests to stimulate the kid’s interest in literature at the earliest possible stage. In addition to this, some of Paula’s team members teach them to sew clothes, get some gardening or woodworking skills to test their individual abilities and hopefully have them learn the basics for better weathering the storms of life when becoming adults. Both CHC and MHM offer medical care for not only the children and team members but for the neighboring community as well. A well accepted offering by the community, seen by the many men and women waiting at the centre day after day for treatment. One of the medics actively supporting the project is Doctor Gerd Ehrhardt of Hattersheim in the German State of Hesse. “It’s already the tenth time I’m here in Nairobi to offer medical treatment,” Gerd says. So from experience he knows the range of illnesses plaguing the locals. Surprisingly, it’s mostly diabetes, caused by malnutrition and not Malaria or Aids infections. Others are dental problems, visual disorders or hearing losses. “During all the years I come here I had only 3 Malaria patients,” Gerd says. “Each patient that asks for medical treatment has to pay 200 Kenyan Shillings,” states Paula. That’s equivalent to 2 euros, predominantly seen as an educational issue and not as additional source of filling MMH’s cashes. “To give people the feeling that the medic’s efforts to restoring their health is a good of high value,” explains ‘Mother Mary’. MMH is far from being the only auxiliary project supported by Cargo Human Care in Kenya. A similar institution providing humanitarian aid to the smallest is called The Nest. Established back in 1997 by Bavarian founder Irene Baumgartner, she and her team members concentrate on helping newborns and infants, who were abandoned by their parents or left alone because their mothers were jailed. States Irene, who is together with Paula of MMH another contemporary ‘Mother Mary’ in Nairobi: “Often hopelessly is the situation of single parents in Kenya which are left behind by their husbands, were abused or are simply widowed.” Quite often this results in begging children roaming the streets while their mothers are imprisoned, very often because of the smallest offence. Currently, The Nest accommodates 86 babies and infants. 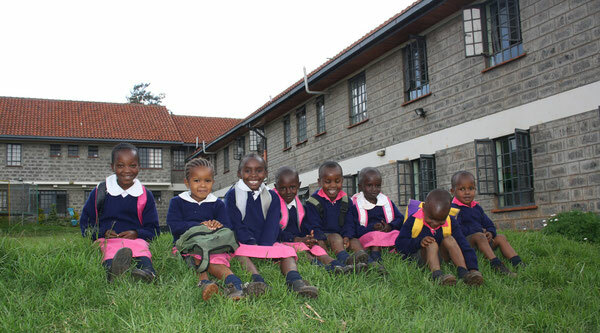 Their well-being is entirely financed by private donors, with the Kenyan government granting not a single Shilling. For how long will the almost 60-year old carry on? “My husband, a priest in the Anglican Church retired some time ago and urges me since then to stay at home.” A wish she respects but rejected up to now. “However, once a capable successor is ready to take over full responsibility I will consider retiring.” From all what’s heard a follower has been spotted meanwhile but who it is Paula does not reveal. “All I can say is that she is extremely capable of running this place with the same ambition I have shown in all those years. And “Joseph” Fokko Doyen? 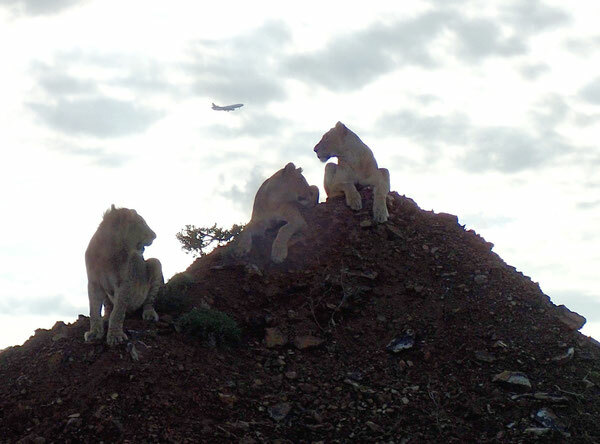 He thinks of even expanding Lufthansa Cargo Human Care’s charity activities in Kenya. “Some 30 minute drive out of Nairobi we are currently building a boarding house for accommodation of up to 24 male and female residents who stem from Mothers’ Mercy House and meanwhile have graduated with a Secondary School certificate,” he says. 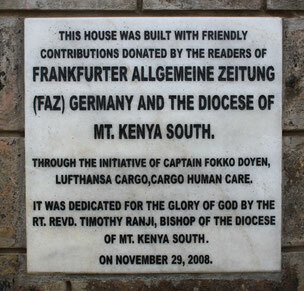 The building was designed by Bulli Ladu, one of Kenya’s most prominent architects who is also supervising the construction work. The land plot was provided by the Anglican Church. According to Kenyan law the youngsters need to wait about 6 months after finishing school until they are entitled to commence any professional career. “To bridge the gap between graduation and their official start of work we offer them accommodation in our new facility and specific training courses to further improve their education,” Fokko explains. The donation funded facility costs 260,000 euros and is supposed to open its doors in mid-November this year.